Nintendo in April 2017 discontinued production of its uber popular NES Classic Edition in order to dedicate all resources to the newer SNES Classic Edition (as it turns out, both systems utilize the exact same internal hardware). The Japanese gaming giant promised a few months later that the original NES Classic Edition would return to store shelves in 2018 and over the weekend, we learned exactly when that’ll happen. Nintendo on Twitter said the NES Classic Edition will once again grace store shelves on June 29. It, along with the SNES Classic Edition, are expected to be available through the end of the year, the company notes. 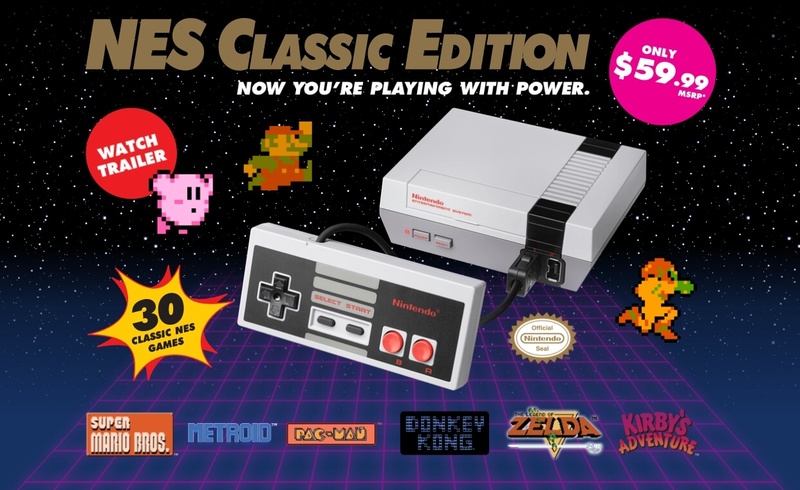 It looks as if the NES Classic Edition will retain its original $59.99 MSRP. This is great news for retro gamers that haven’t yet been able to get their hands on Nintendo’s miniature consoles but it’s by no means a guarantee. The NES Classic Edition was next to impossible to find in stores when it launched in late 2016 and the SNES version was no different. Despite being in active production since last September, you still can’t stroll into a retailer and find one. As much as I’d like to believe otherwise, it’s still going to be a struggle to find a Classic console. And now, the clock is ticking as they could disappear forever after the end of the year. Perhaps they’ll be shelved yet again to make way for a future Nintendo 64 Classic Edition?